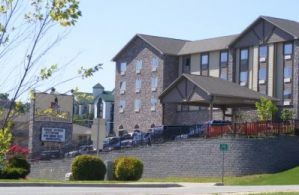 76 Central Resorts offer some of the best Branson lodging and are located right in the heart of the Branson entertainment district and minutes from lake Taneycomo and Table Rock Lake. Since rates can change with the season or the day of the week we list all 76 Central Resorts in category ranges instead of trying to show all rates. These ranges are based on their basic rooms during a normal season. However the rates may be higher or even lower depending on various factors. The ranges are a guide only and are noted by the name on each page. Guests at Thousand Hills Resort have a choice of Condos with open views of the golf course, cabins in a wooded setting right off the strip or lake condos at the Majestic. Guests may take advantage of all the resorts upscale amenities and activities. The cabins at Grand Mountain are nestled in the rolling foothills of the Ozark Mountains and offer a variety of options. These are located just 2 blocks off Hwy 76. Rustic and romantic cabins in Branson MO are available and can be a getaway for a special weekend or more. If you bring the family these cabins will be a home away from home. Though this resort is not located in the 76 Central area, the check-in is located at Thousand Hills and is therefore listed here. Branson Condo Rentals at the water at the Majestic at Table Rock Lake feature beautiful luxury condos where you can relax and view the lake and the Ozark Mountains from glassed and open porches. One of the biggest and best known of the 76 Central Resorts is the Thousand Hills Golf Resort located just a couple of blocks south of the Radisson Hotel on Wildwood. Thousand Hills does spread beyond the Wildwood address though with the Majestic at Table Rock Lake. This is a Condo Resort just off of Hwy 265. Since the check-in is at the Wildwood address and they have guest usage of the main resort we have included it with the 76 Central Resorts. 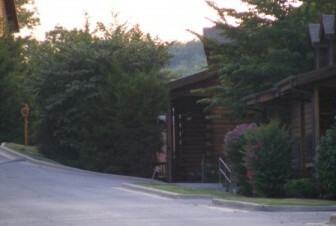 The Cabins at Grand Mountain are also a part of the Thousand Hills Resort and are located on the north side of Hwy 76 to the west of the Plaza Hotel. These log cabins are perfect for a family vacation or as a romantic get-away. These are just a short walk away from the 76 Strip or to the Tanger Factory Outlet Center. Considering the steep hills of the area it's fair to say the walk may be somewhat strenuous for some. 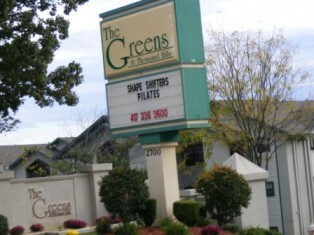 The Greens at Thousand Hills is a Condo Resort on Green Mountain Drive. These too, are just a block from the Strip but are also across the street from some great fun parks and down the street from some popular restaurants. The newest 76 Central Resorts is the Castle Rock Resort and Waterpark on Green Mountain Drive. This is a great resort for families with children. The rooms in the tower part of the resort have small bunk bed rooms that can save money on your nightly room charges. 76 Central resorts offer Branson vacations that your family will remember. In case you want to know…………………………….. There are an estimated 6000 caves in Missouri, most of which are found in the Ozarks region of the State. Twenty of these caves are commercial show caves including Marvel Cave at Silver Dollar City. Arkansas has approximately 2000 documented caves.